Thought you were scared last year with thrillers like “Deliver Us From Evil” and “Oculus”? Well get ready, because with every set of summer releases comes a new collection of terrifying horror and suspense films. Judging by the currently-playing “Poltergeist”, the special effects have advanced and the terror becomes more realistic, making 2015 the scariest year yet! Here are our predictions for the five best horror movies for the summer. Two siblings are sent to their grandparents’ creepy farm for a week. Elderly farmers don’t sound like the classic villains (well…now that I read it back…), but the “something’s wrong with Grandma” theme seems likely to play out. Potential Pitfalls: Like many of Shamylan’s films, this one has the potential to end in a whole mess of nothing. Sarah’s Suspicion: I have a feeling this is going to be a “demonic possession” type of story, maybe by an old farm ghost. Possibility of exorcism: 5/10. I am very excited for this one because it’s different than many of the other slasher films in the works. This shaky-cam account of a drama club production gone-awry as they attempt to bring back a play in which students actually died, on its 20-year reunion. High-quality stuff. Potential pitfalls: The teenagers might be too stupid for my taste, turning this potential for originality into a “Paranormal Activity” knockoff. Sarah’s Suspicion: It’s going to take at least an hour for weird stuff to start happening, and no one’s going to die until the end. Hard to say whether the wait will be worth it. Judging by the title, I’d say someone’s getting hanged. If “The Visit” fails, this one will definitely have some exorcisms. Priests with loud voices scare me. Potential Pitfalls: There’s only so much more that can be done with this topic. It can get old really quickly. Sarah’s Suspicion: I predict a lot of crawling on ceilings/walls/surfaces that should not be crawled on. I tried watching “Sinister” once before, only to turn it off five minutes in because I didn’t think I could handle it that late at night. This has the potential to be the scariest horror movie of the summer. Potential Pitfalls: A greater focus on the scares than the quality. Sarah’s Suspicion: I will be in the fetal position for a full two hours. This trumps “Sinister 2” because the “Insidious” trilogy thus far has proved to care a lot about keeping their story of other worlds and demon creatures interesting. This one—as is expected from a third installment—is a prequel, following the medium from the first two movies. While it may not live up to the original thriller, according to the trilogy formula (that never fails), it is bound to be better than the second one. Potential Pitfalls: The creatures that have been created thus far have been so cool and unique, I’m scared that they’ll cop out and go more mainstream. Sarah’s Suspicion: I’ll still be wishing for a throwback to the first one, but this will be a satisfying top pick for me this summer. My sister and I will probably watch the entire trilogy more than once. 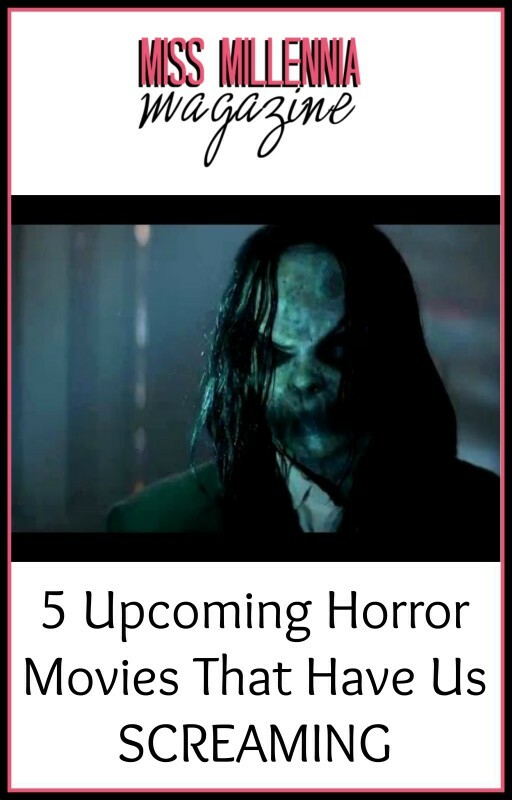 Which horror movie are you most looking forward to? Let us know!